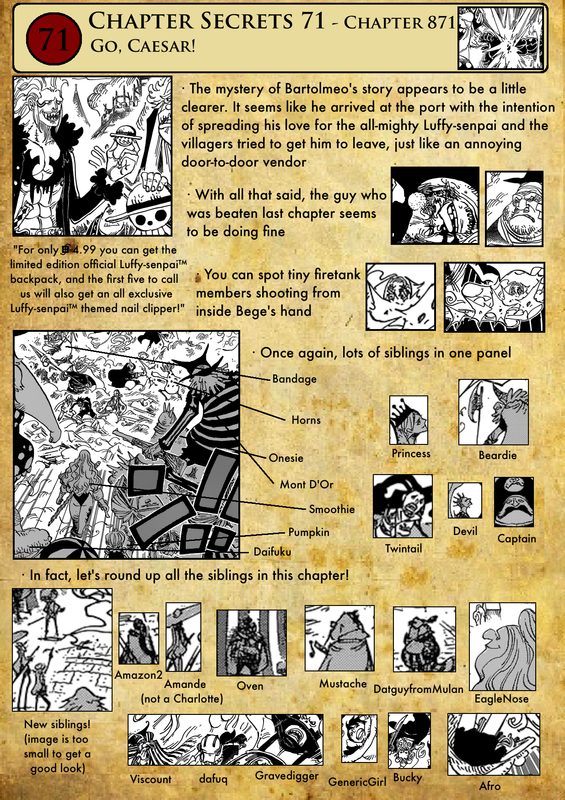 In my case, I’m surprisingly happy that Big Mom and her crew are winning this fight so easily. I mean, I think the strawhats are pretty strong individually, especially considering their inexperience in comparison to a Yonko’s crew. 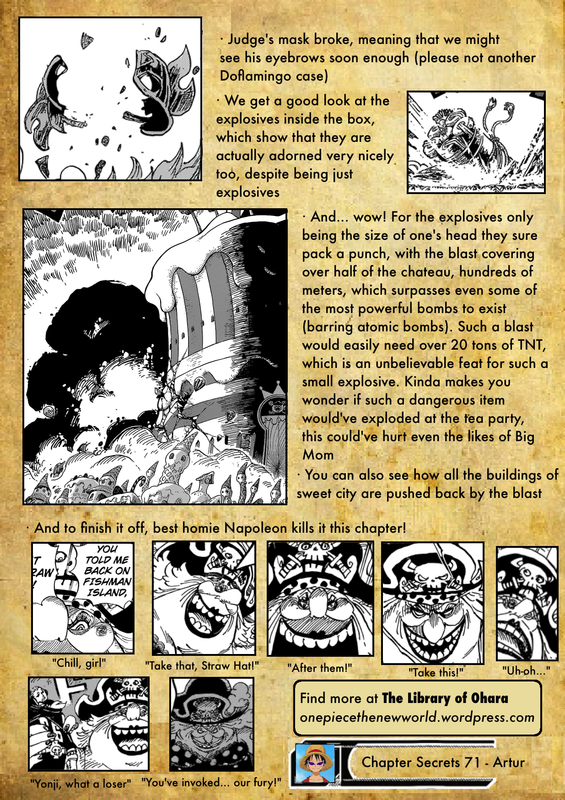 However, Big Mom’s Pirates heavily outnumber the Strawhats Alliance, they have an strong army, some “top tier” fighters (mainly Big Mom herself and Katakuri), a couple of OP devil fuits (Brulée/Mont D’Or), they’re in their own house/territory, they’re masters of gattering information (information is power)… While half of Luffy’s crew isn’t even present. In the other hand, there are so many unfinished sub-plots such as: the three eyed tribe, Pound&the-other-probably-dead-ex-husbands, Lola&Loki’s fiasco/Elbaf versus Linlin 2, if CP-0 looked for Linlin after Mother Caramel’s when to Hell, Germa 66 history (I’m quite curious about that), the inspiration behind Sora Warrior of the Sea, etc. So, it makes total sense to me that these characters will appear again in the future, in other arcs. 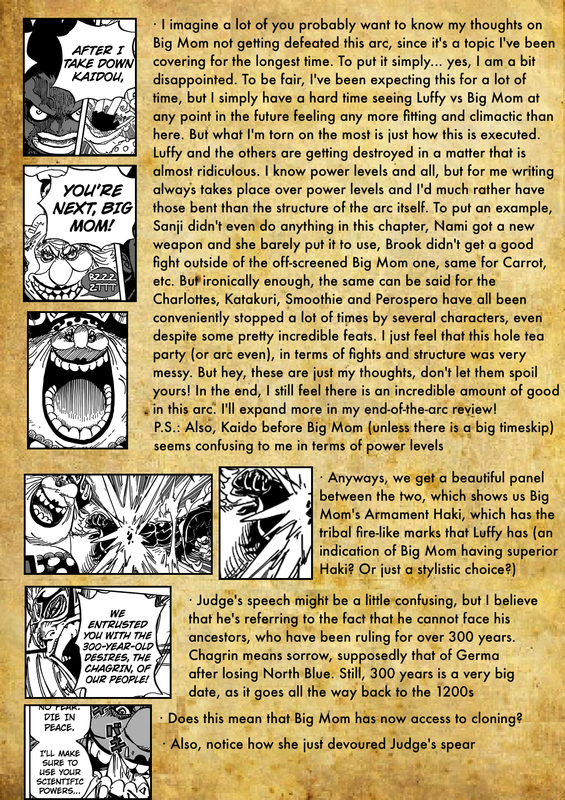 Oda has also been trying really hard not to revel/explain much about the Vinsmoke’s or Linlin’s powers/fighting style. I do believe Kaido and his furries (I mean: artificial Zoans) must have more brutal strengh than Big Mom Pirates, but that situation is different. It would make more sense to me for Kaido to be defeated because he’s going to be attacked by many of the supernovas at the same time. 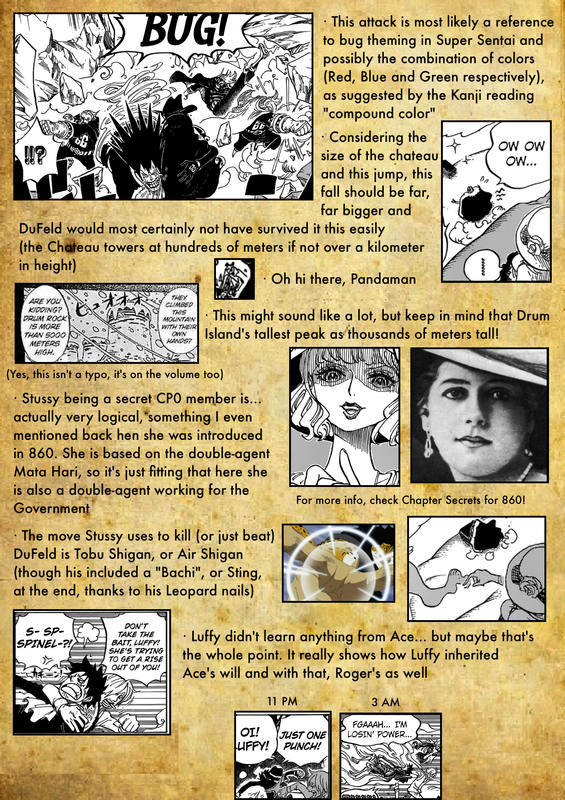 Plus, the strawhats have been preparing a plan and have a powerful Alliance with you know Heart Pirates+Minks+Ninjas+Samurais who know Wano+Marco, and possibly even more people. (Team work! Team work!) But who knows what will happen. I don’t mind if they get wrecked a bit there too… maybe we’ll need an other training period. Omg I can’t wait! Having said that, I’m a little unsatisfied with the lack of action: with how fast this confrontation happened in what? one chapter!! ?… It does seem anticlimatic after waiting so freaking much… I really hope the fall of the tower isn’t the only reason for which the alliance manages to escape… I also kind of want to see some negative consequences for Capone’s arrogance, I mean I don’t want this arc to end the same as the beginning, as if all drama was just for show. But the arc isn’t finished yet, so I have hope that more altercations will happen… Plus, I’m still waiting for Pekoms apparition and for Pudding to do something.